Theory and Methods: for a dissertation that makes important original contributions to the foundations, theoretical developments, and/or general methodology of Bayesian analysis. Applied Methodology: for a dissertation that makes outstanding contributions with novel Bayesian analysis of a substantive problem that has potential to impact statistical practice in a field of application. Each award is accompanied by a monetary prize. The award was instituted by the NBER-NSF Seminar in Bayesian Inference in Econometrics and Statistics in 1977 with an endowed fund supported by royalties from a series of books authored and edited under the auspices of the Seminar on Bayesian Inference in Econometrics. ISBA and the ASA Section on Bayesian Statistical Science (SBSS) joined as co-sponsors in 1993. Additional contributions to the endowment include royalties from the Handbook of Bayesian Econometrics edited by John Geweke, Gary Koop and Herman van Dijk. and donations by past recipients of the Savage Prize and members of ISBA. 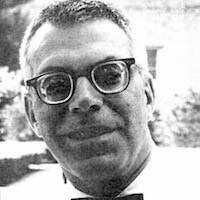 Born November 20, 1917, Jimmie Savage was graduated from the University of Michigan and later worked at the Institute for Advanced Study in Princeton, New Jersey, the University of Chicago, and the Statistical Research Group at Columbia University. Though his thesis advisor was Sumner Myers, he also credited Milton Friedman and W. Allen Wallis as his statistical mentors. His most noted work was the 1954 book Foundations of Statistics, in which he put forward a theory of subjective and personal probability and statistics which forms one of the strands underlying Bayesian statistics and has applications to game theory. One of Savage’s indirect contributions was his discovery of the work of Louis Bachelier on stochastic models for asset prices and the mathematical theory of option pricing. Savage brought the work of Bachelier to the attention of Paul Samuelson. It was from Samuelson’s subsequent writing that random walk (and subsequently Brownian motion) became fundamental to mathematical finance. In 1951 he introduced the Minimax regret criterion used in decision theory. The Hewitt-Savage zero-one law is (in part) named after him. The Bylaws specify that all PhD theses that have not been submitted in a previous year are eligible; thus a dissertation may be nominated only once. The Prize Committee interprets the phrase “PhD Thesis” to mean a dissertation in final form: approved by the student’s committee or examining board, for example (final University approval is not required). A dissertation may be nominated by the author, by the advisor, the department chair, or by any ISBA or SBSS member. Nomination is made by electronic submission of the dissertation along with a letter that describes the main theoretical, methodological, and/or applied contributions of the thesis and specifies for which award the thesis is being nominated — either Theory and Methods or Applied Methodology. Nominating letters should be written in English, and it is recommended that dissertations also be written in English (the Savage Award Committee may require an English translation for full consideration of theses written in other languages). Dissertations and letters must be submitted electronically in pdf format. Jackson Gorham, Measuring Sample Quality with Stein’s Method. Stanford University; Lester Mackey, advisor. Akihiko Nishimura (Honorable Mention), General and Efficient Bayesian Computation Through Hamiltonian Monte Carlo Extensions. Duke University; David Dunson, advisor. Lorin Crawford, Bayesian Kernel Models for Statistical Genetics and Cancer Genomics. Duke University; Sayan Mukherjee, advisor. Abhirup Datta (Honorable Mention), Statistical Methods for Large Complex Datasets. University of Minnesota; Sudipto Banerjee, advisor. Giacomo Zanella (Honorable Mention), Bayesian Complementary Clustering, MCMC and Anglo-Saxon Placenames. University of Warwick; Wilfrid S. Kendall, advisor. Federico Camerlenghi, Hierarchical and Nested Random Probability Measures with Statistical Applications. University of Pavia; Antonio Lijoi and Igor Prünster, advisors. Prithwish Bhaumik (Honorable Mention), Bayesian Estimation and Uncertainty Quantiﬁcation in Differential Equation Models. North Carolina State University; Subhashis Ghoshal, advisor. Scott Linderman, Bayesian Methods for Discovering Structure in Neural Spike Trains. Harvard University; Ryan Adams and Leslie Valiant, advisors. Yang Ni (Honorable Mention), Bayesian Graphical Models for Complex Biological Networks, Rice University; Francesco Stingo and Veera Baladandayuthapani, advisors. Tamara Broderick, Clusters and Features from Combinatorial Stochastic Processes. University of California, Berkeley; Michael Jordon, advisor. Botond Szabó (Honorable Mention), Adaptation and Confidence in Nonparametric Bayes. Eindhoven University of Technology; Harry van Zanten and Aad van der Vaart, advisors. Maria De Yoreo, A Bayesian Framework for Fully Nonparametric Ordinal Regression. University of California, Santa Cruz; Athanasios Kottas, advisor. Linen Zhang (Honorable Mention), Bayesian Nonparametric Models for Functional Magnetic Resonance Imaging (fMRI) Data. Rice University; Marina Vannucci, advisor. Vinayak Rao, Markov Chain Monte Carlo for Continuous-Time, Discrete State Systems. University of Oxford; Yee Whye Teh, supervisor. Veronika Rockova (Honorable Mention), Bayesian Variable Selection in High-Dimensional Applications. Erasmus Universiteit Rotterdam; E. M. E. H. Lessafre and B. Lowenberg, advisors. Sayantan Banerjee (Honorable Mention), Bayesian Inference for High Dimensional Models; Convergence Properties and Computations Issues. North Carolina State University; Subhashis Ghoshal, advisor. Christine Peterson, Bayesian Graphical Models for Biological Network Inference. Rice University; Marina Vanucci, advisor. Masanao Yajima (Honorable Mention), Bayesian Modeling of Interactions of Structured Heterogeneous Data. University of California – Los Angeles; Jan de Leeuw and Donatello Telesca, advisors. Weining Shen, Adaptive Bayesian Function Estimation. North Carolina State University; Subhasis Ghosal, advisor. Depdeep Pati (Honorable Mention), Bayesian Nonparametric Modeling and Theory for Complex Data. Duke University; David Dunsun, advisor. Osvaldo Anacleto (Honorable Mention), Bayesian Dynamic Graphical Models for High-Dimensional Flow Forescasting in Road Traffic Networks. Open University; Catriona Queen and Paul Garthwaite, advisors. Anirban Bhattacharya, Bayesian Shrinkage in High Dimensions . Duke University; David Dunson, advisor. Bernardo Nipoti (Honorable Mention), Dependent Completely Random Measures and Statistical Applications. University of Pavia; Antonio Lijoi, advisor. Avishek Chakraborty, Modeling Point Patterns, Measurement Error and Abundance for Exploring Species Distributions. Duke University; Alan Gelfand, advisor. Rebecca C. Steorts (Honorable Mention), Small Areas, Benchmarking, and Political Battles: Today’s Novel Demands in Small-Area Estimation. University of Florida; Malay Ghosh, advisor. Juan Carlos Martinez-Ovando, Contributions to Bayesian Nonparametric Modelling of Time-Series Data. University of Kent; Stephen G. Walker, advisor. Gun Ho Jang (Honorable Mention), Invariant Procedures in Model Checking for Prior-Data Conflict and Bayesian Analysis. University of Toronto; Michael Evans, advisor. Kaisey Mandel, Improving Cosmological Distances to Illuminate Dark Energy: Hierarchical Bayesian Models for Type Ia Supernovae in the Optical and Near-Infrared. Harvard University; Robert Kirshner, advisor. Fabian Scheipl (Honorable Mention), Spike-and-Slab Priors for Function Selection in Structured Additive Regression Models. Ludwig-Maximilians-Universitat Munchen; Ludwig Fahrmeir, advisor. Julien Cornebise, Adaptive Sequential Monte Carlo Methods. Université Pierre et Marie Curie – Paris 6, France; Eric Moulines, advisor. Daniel Williamson (Honorable Mention), Policy Making Using Computer Simulators for Complex Physical Systems; Bayesian Decision Support for the Development of Adaptive Strategies. Durham Univ, UK; Michael Goldstein, advisor. Ricardo Lemos, Hierarchical Bayesian Methods for the Marine Sciences: Analyses of Climate Variability and Fish Abundance. University of Lisbon, Portugal; Henrique Cabral and Ramiro Neves, advisors. Robin Ryder (Honorable Mention), Phylogenetic Models of Language Diversification. University of Oxford, UK. Geoff Nicholls, advisor. James G. Scott, Bayesian Adjustment for Multiplicity. Duke Univ, USA; James Berger, advisor. Ryan Prescott Adams (Honorable Mention), Kernel Methods for Nonparametric Bayesian Inference of Probability Densities and Point Processes. University of Cambridge, UK; David MacKay, advisor. Emily B. Fox, Bayesian Nonparametric Learning of Complex Dynamical Phenomena. Massachusetts Institute of Technology, USA; Alan S. Willsky & John W. Fisher III, advisors. Matthew A. Taddy (Honorable Mention), Bayesian Nonparametric Analysis of Conditional Distributions and Inference for Poisson Point Processes. University of California at Santa Cruz, USA; Athanasios Kottas, advisor. Lorenzo Trippa, Some Extensions of the Polya Urn scheme with Bayesian Applications. L. Bocconi University (Milano, IT); Pietro Muliere, advisor. Alejandro Jara, Bayesian Semiparametric Methods for the Analysis of Complex Data. Katholieke Universiteit Leuven (BE); Emmanuel Lesaffre, Irene Gijbels and Geert Verbeke, advisors. Donatello Telesca (Honorable Mention), Bayesian Hierarchical Curve Registration. U Washington (Seattle, US); Lurdes Y.T. Inoue, advisor. Astrid Jullion (Finalist), Adaptive Bayesian P-splines models for Fitting Time-Activity Curves and Estimating Associated Clinical Measures in Positron Emission Tomography and Pharmacokinetic Studies. Université Catholique de Louvain, Belgium; Philippe Lambert, advisor. Kostas Kalogeropoulos, Bayesian Inference for Multidimensional Diffusion Processes. Athens University Economics and Business; Petros Dellaportas, advisor. Iain Murray (Honorable Mention), Advances in Markov chain Monte Carlo Methods. University College London; Zoubin Ghahramani, advisor. Vladimir Minin, Exploring Evolutionary Heterogeneity with Change-Point Models, Gaussian Markov Random Fields, and Markov Chain Induced Counting Processes. UCLA; Marc Suchard, advisor. Edoardo M. Airoldi (Honorable Mention), Bayesian Mixed-Membership Models of Complex and Evolving Networks. CMU; Stephen E. Fienberg and Kathleen Carley, advisors. Surya Tokdar, Exploring Dirichlet Mixture and Logistic Gaussian Process Priors in Density Estimation, Regression and Sufficient Dimension Reduction. Purdue Univ; J.K. Ghosh, advisor. Pierpaolo de Blasi (Honorable Mention), Semiparametric Models in Bayesian Event History Analysis. Bocconi U; Nils Lid Hjort & Pietro Muliere, advisors. Robert Gramacy, Bayesian Treed Gaussian Process Models. UCSC; Herbie Lee, advisor. Carlos Carvalho (Honorable Mention), Structure and Sparsity in High-Dimensional Multivariate Analysis. Duke University; Mike West, advisor. Xinyi Xu, Estimation of High Dimensional Predictive Densities. University of Pennsylvania; Ed George, advisor. Taeryon Choi (Honorable Mention), Posterior Consistency in Nonparametric Regression Problems under Gaussian Process Priors. CMU; Mark Schervish, advisor. Dimitris Nicoloutsopoulos, Parametric and Bayesian Non-parametric Estimation of Copulas. UCL; Phil Dawid, advisor. Billy Amzal (Honorable Mention), Optimisation Bayésienne de Décisions et de Plans d’Expériences par Algorithmes Particulaires. University Paris Dauphine; Eric Parent & Christian Robert, advisors. Mario Trottini (Honorable Mention), Decision Models for Data Disclosure Limitation. Carnegie Mellon University; Stephen Fienberg, advisor. Ramses Mena (Honorable Mention), Stationary Models using Latent Structures. University Bath; Stephen Walker, advisor. Shane Jensen, Statistical Techniques for Examining Gene Regulation. Harvard University; Jun Liu, advisor. Jesus Palomo (Honorable Mention), Bayesian Methods in Bidding Processes. Rey Juan Carlos University; David Ríos Insua & Fabrizio Ruggeri, advisors. Chris Paciorek, Non-Stationary Gaussian Processes for Regression and Spatial Modeling. Carnegie Mellon University; Mark Schervish, advisor. Louis T. Mariano, Information Accumulation, Model Selection, and Rater Behavior in Constructed Response Student Assessments. Carnegie Mellon University; Brian Junker, advisor. Nicolas Chopin, Applications des Méthodes de Monte Carlo Séquentielles à la Statistique Bayésienne. University Paris Dauphine; Christian Robert, advisor. Marc Suchard, Model Building and Selection in Bayesian Phylogenetic Reconstruction. UCLA; Robert Weiss, advisor. Luis E. Nieto-Barajas, Bayesian Nonparametric Survival Analysis via Markov Processes. University Bath; Stephen Walker, advisor. J. R. Lockwood, Estimating Joint Distributions of Contaminants in U.S. Community Water System Sources. CMU; Mark Schervish, advisor. Peter Hoff (Co-winner), Constrained Nonparametric Estimation via Mixtures. University Wisconsin; Michael Newton, advisor. Tzee-Ming Huang (Co-winner), Convergence Rates for Posterior Distributions. Carnegie Mellon University; Larry Wasserman, advisor. Jeremy Oakley, Bayesian Uncertainty Analysis for Complex Computer Code. University of Sheffield; Tony O’Hagan, advisor. Tim Hanson (Honorable Mention), Applied Bayesian Semiparametric Methods with Special Application to the Accelerated Failure Time Model and to Hierarchical Models for Screening UC Davis; Wes Johnson, advisor. Garrick L. Wallstrom, Consistency and Strong Inconsistency of Inferences. University of Minnesota; Joe Eaton, advisor. Clare E. Marshall, Statistical Methods for Institutional Comparisons. Cambridge Univ; David Spiegelhalter, advisor. Andrew S. Mugglin (Honorable Mention), Fully Model-Based Approaches for Spatially Misaligned Data. University of Minnesota; Brad Carlin, advisor. Antonietta Mira, Ordering, Splicing and Splitting Monte Carlo Markov Chains. University of Minnesota; Luke Tierney, advisor. Jaelong Lee (Honorable Mention) Semiparametric Bayesian analysis: selection models and meteorolgical applications. Purdue Univ; Jim Berger, advisor. David Denison, Simulation Based Bayesian Non-parametric Regression Methods. Imperial College; Bani Mallick & Adrian Smith, advisors. Juha Heikkinen (Honorable Mention), Bayesian Smoothing and Step Functions in Nonparametric Estimation of Curves and Surfaces. University of Helsinki; Antti Penttinen & Elija Arjas, advisors. Nariankadu D. Shyamalkumar, Contributions to Bayesian Nonparametrics and Bayesian Robustness. Purdue Univ; Jim Berger, advisor. Eric Bradlow (Honorable Mention), A Hierarchical Latent Response Model for Ordinal Data with “No Answer” Responses. Harvard University; Alan Zaslavsky, advisor. Max Chickering (Honorable Mention), Learning Bayesian Networks from Data. UCLA; David Heckerman, Richard Korf & Judea Pearl, advisors. Andrea Piesse (Honorable Mention), Coherent Predictive Probabilities. University of Canterbury; John Deely & Frank Lad, advisors. Christopher K. Carter (Co-winner), On Markov Chain Monte Carlo for Linear State Space. University or New South Wales; Robert Kohn, advisor. Alyson Wilson (Co-winner) Statistical Models for Shapes and Deformations. Duke University; Valen Johnson, advisor. Simon J. Godsill (Honorable Mention), The Restoration of Degraded Audio Signals. Ming-Hui Chen (Honorable Mention), Monte Carlo Markov Chain Sampling for Bayesian Computation with Applications. Purdue Univ; Jim Berger & Bruce Schmeiseer, advisors. Merlise A. Clyde, Bayesian Optimal Designs for Approximate Normality. University of Minnesota; Kathryn Chaloner, advisor. Marìa Del Carmen Fernandez-Llana (Honorable Mention), Estudios Sobre Robustez Bayesiana Global. University of Autonoma de Madrid; Julian de la Horra, advisor. Paul Gustafson (Honorable Mention), Local Sensitivity of Posterior Expectations. CMU; Larry Wasserman, advisor. Debajyoti Sinha (Honorable Mention), Semiparametric Bayesian Analysis of Single and Multiple Time Event Data. University of Rochester; W Jack Hall, advisor. Charles Jeremy York, Bayesian Methods for the Analysis of Misclassified or Incomplete Multivariate Data. Giovanni Parmigiani, Optimal Scheduling of Inspections with an Application to Medical Screening Tests. Valen E. Johnson, On Statistical Image Reconstruction. Michael David Escobar, Estimating the Means of Several Normal Populations by Nonparametric Estimation of the Distribution of the Means. Peter E. Rossi, Specification and Analysis of Econometric Production Models. Mohan Delampady (Co-winner), Testing a Precise Hypothesis Interpreting P-Values from a Robust Bayesian Viewpoint. S. Sivaganesan (Co-winner), Robust Bayesian Analysis with Contamminated Classes. Herman K. van Dijk (Co-winner), Posterior Analysis of Econometric Models Using Monte Carlo Integration. Peter Jamison Lenk, Bayesian Nonparametric Predictive Distributions. Luc Bauwens (Co-winner), Bayesian Full Information Analysis of Simultaneous Equation Models. Peter C. Cranston (Co-winner), The Role of Time and Information in Bargaining. Paul H. Garthwaite, Assessment of Prior Distributions for Normal Linear Models. Soo Hong Chew, Two representation Theorems and Their Applications to Decision Theory. Robert Kass (Co-winner), The Riemannian Structure of Model Spaces: A Geometrical Approach to Inference. John P. O’Connor (Co-winner), A Certainty Equivlaent Based Metrization of Utility Function Space. Paul Milgram, The Structure of Information in Competitive Bidding. Kevin James McConway, The Combination of Experts’ Opinions in Probability Assessment: Some Theoretical Considerations. Lorraine DeRobertis, The Use of Partial Prior Knowledge in Bayesian Inference. José Bernardo (Honorable Mention), The Use of Information in the Design and Analysis of Scientific Experimentation. Charles A. Holt, Bidding for Contracts. Robert Shore (Honorable Mention), A Bayesian Approach to the Spectral Analysis of Stationary Time Series.